Located in downtown Birmingham, Alabama, the McWane Science Center includes four floors of interactive exhibits that celebrate science and wonder — from an amazing collection of dinosaurs to innovative environmental showcases, imaginative early childhood playgrounds, and an awe-inspiring aquarium. The museum has welcomed millions of visitors since opening its doors in 1998. The McWane Science Center has a talented group of exhibit designers in-house that do an incredible job of making learning fun. Finding the right technology can be a challenge at times. That's where MediaMerge comes in. 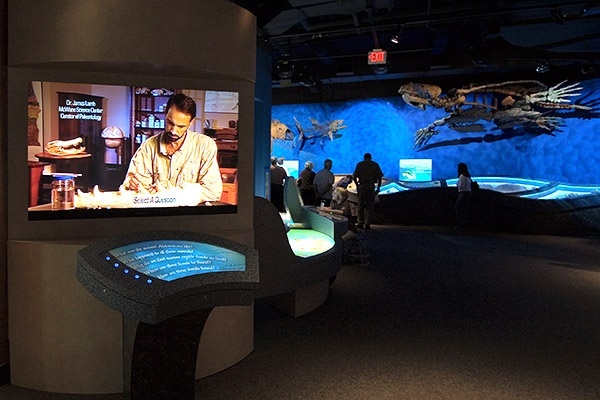 MediaMerge was chosen to provide sound , video , lighting and control systems for several projects at the McWane Science Center including the Sea Monsters of Alabama, Dinosaurs of Alabama, NatureScope and Itty Bitty Magic City exhibits. 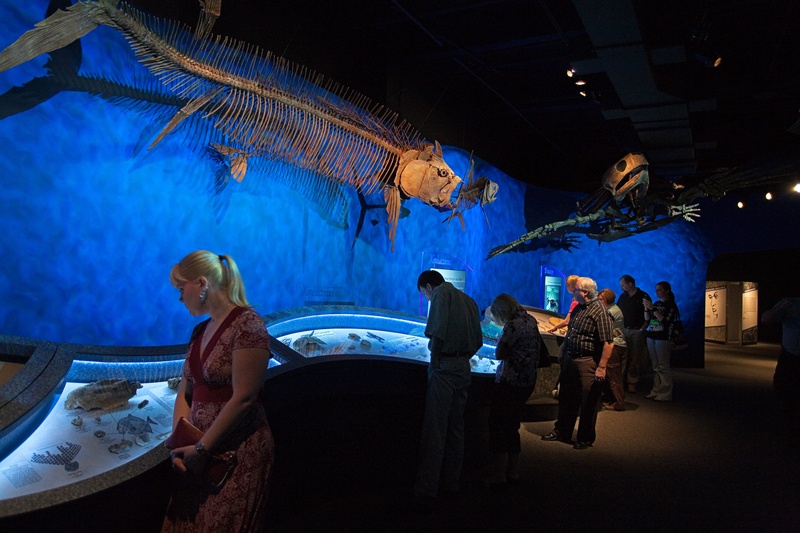 The Sea Monsters exhibit includes an interactive kiosk and floating glass projection kiosks that provide information about the fossils which are suspended from the ceiling. The exhibits include sound systems, video systems, media servers, video projectors and a lighting system that gives guests the sense of being under water. Itty Bitty Magic City includes a zoned soundscape that places guests in the middle of the action. Share your upcoming project with us and discover if MediaMerge is the right solution for you!